Lets face it, sometimes no matter how hard we have worked at finding our own solutions to life's problems we sometimes get stuck. All of us at times can feel overwhelmed and helpless to change our situation. Engaging in the counseling process with Jontie Hays is a form of partnership and teamwork to assist you in moving forward into resolution and healing. The therapeutic process offers expert treatment in addressing and finding resolution to some of life's most common, yet difficult, challenges. I sincerely believe each one of us already has everything we need within ourselves to take charge of our own well-being. Through be whole counseling you will soon view the current challenges in your life as your opportunity to experience your deepest inner potential and most profound personal growth and healing. It is an exciting time for you so get ready! Counseling with Jontie Hays at be whole counseling is not a passive process on either side. It is a direct and interactive exchange in which we both work closely together to achieve your personal goals. 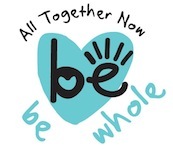 With be whole counseling the therapeutic process offers expert treatment in addressing and finding resolution to some of life's most common, yet difficult, challenges. I sincerely believe each one of us already has everything we need within ourselves to take charge of our own well-being. 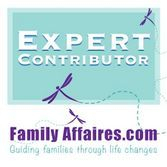 I am a published author of an award series for families experiencing divorce called Monkey in the Middle Divorce Series and a regular contributor to FamilyAffaires.com, a recurring guest on Family Affairs Talk Radio and a featured guest on many other syndicated radio shows. I look forward to the opportunity to work with you at be whole counseling and assist you in reaching your highest potential! 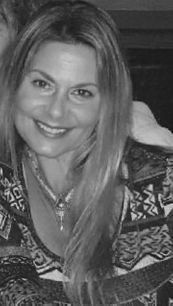 With 20 plus years of experience, I specialize in many areas including depression and anxiety, pattern breaking, behavioral and emotional issues with children and adolescents, marital and relationship enhancement, trauma, divorce, parenting, and post divorce issues. I am also a Qualified Supervisor for Clinical Social Work. I maintain the highest standard of professionalism, respect, acceptance, compassion and empathy for my clients.